Honda introduced its new 3E (Empower, Experience, Empathy) Robotics Concept at CES 2018, demonstrating a range of experimental technologies engineered to understand people’s needs and make their lives better. 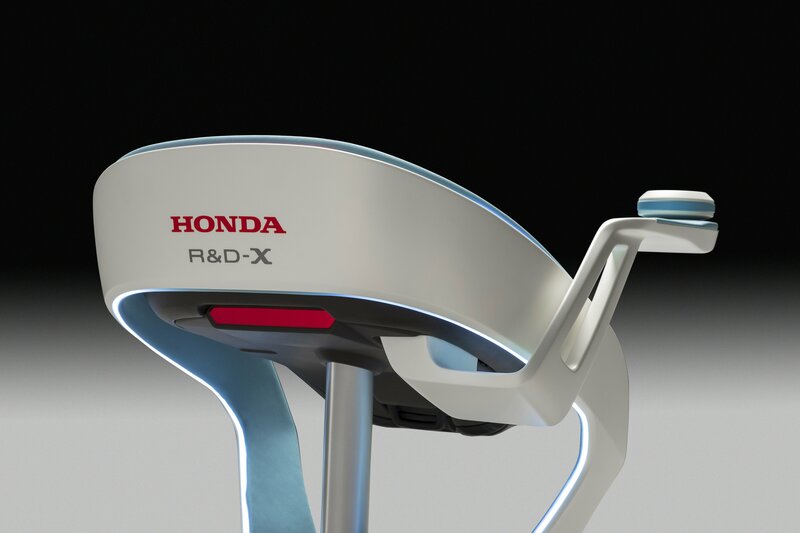 Through a suite of robotic concepts expressing a variety of functions and designs, Honda shared its vision of a society where robotics and AI can assist people in many situations such as disaster recovery, recreation and learning from human interaction to become more helpful and empathetic. Honda’s 3E Robotics Concept is part of the company’s core areas of focus at CES 2018: robotics, mobility, and energy management. 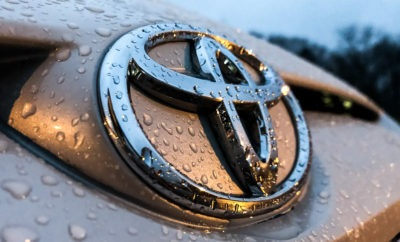 Honda intends to pursue these areas through its “open innovation” approach, developing technology themes that foster collaboration with partners who share Honda’s vision. Rather than stand-alone devices that work independently, Honda envisions robotics as multiple devices that work together as a system, enabling people to expand their life’s potential. 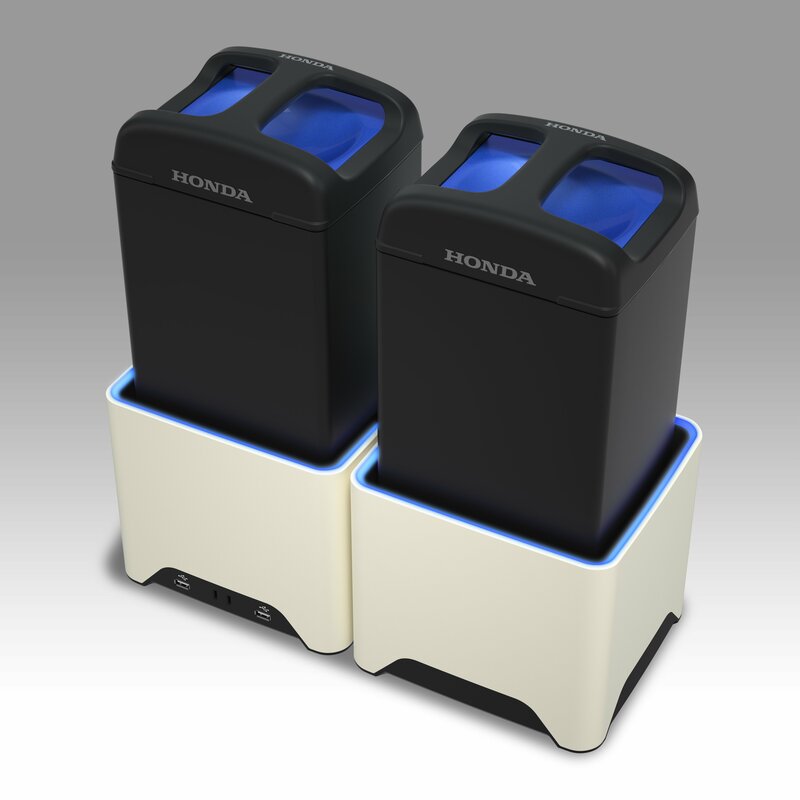 At CES 2018, Honda is also showcasing Mobile Power Pack World, featuring the broad application of a swappable, rechargeable battery pack and exchanger system that allows for easy storage of excess renewable energy. From powering vehicles to running home appliances, the system provides a flexible energy solution that can improve people’s lives, especially in regions where the energy supply may be unstable. “Empower” represents Honda’s concept that robotics and people can work together while leveraging each other’s strengths. 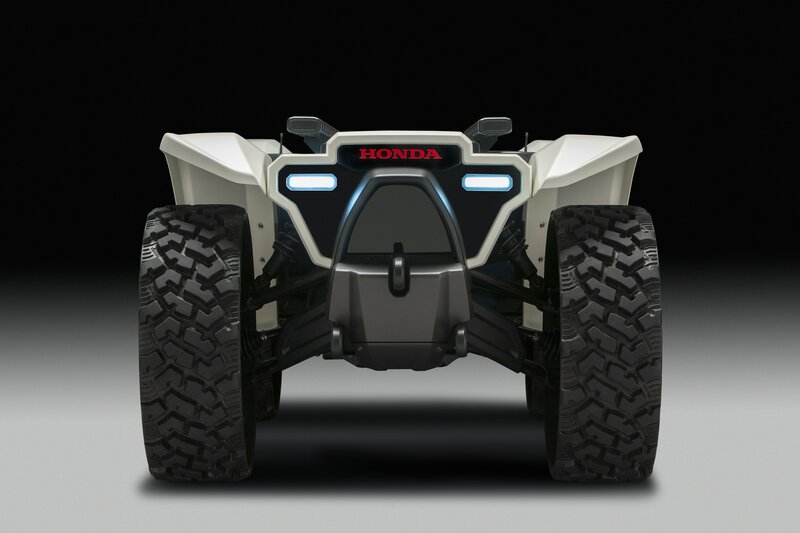 Honda demonstrated this idea through the 3E-D18, an autonomous off-road workhorse device utilizing AI to support people in a broad range of work activities. 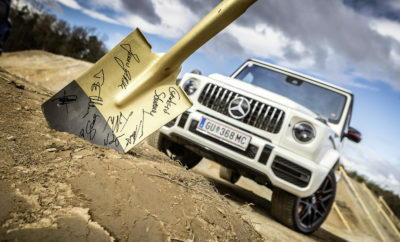 Designed by Honda R&D Americas, 3E-D18 is outfitted with an electric-powered drivetrain and can accommodate a multitude of attachments, bringing efficiencies and increasing safety for public, commercial, and consumer enterprises, including search and rescue, fire fighting, construction, and agriculture. The 3E-D18 robotic device has the potential to minimize human exposure to dangerous environments and can perform time-consuming chores or mundane tasks. Based on Honda’s ATV chassis, which has a 30-year history of accessing hard-to-reach locations, 3E-D18 is equipped with four-wheel drive and aggressive, virtually indestructible airless tires, enabling it to climb almost any obstacle. The 3E-D18 features GPS and sensor-based autonomy, which are capable of guiding the unit in almost any environment. Its small size makes it super maneuverable and perfect for a variety of environments. Honda also displayed 3E-B18, a robotic device designed for casual use in indoor or outdoor spaces, empowering people to be mobile in a variety of situations. With additional attachments, the 3E-B18 platform can be used to support people with their daily activities such as a baggage cart or a stroller. 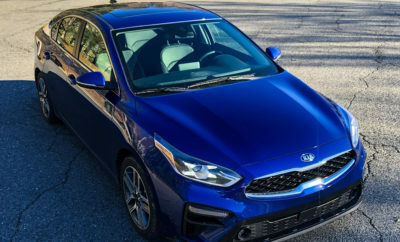 Its compact size and ability to turn in a small radius enable it to navigate in tight spaces, while the height-adjustable seating features a function to maintain a level seat even when it is driven uphill or downhill. 3E-B18’s narrow footprint allows it to maneuver as flexibly as a pedestrian so that it can be used in many locations. 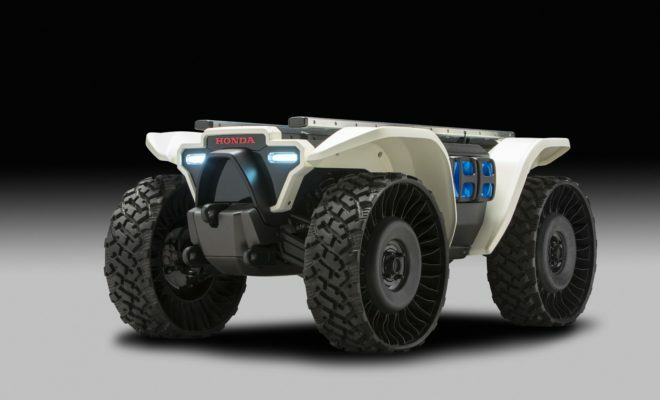 For 3E-B18, Honda envisions a base platform powered by Honda’s Mobile Power Pack that can be outfitted with AI sensors for autonomous operation, and that connects with several attachments to create a range of use scenarios. “Experience” represents the idea that people and robotic devices grow together by interacting with each other, becoming even more useful for people and society as a whole. This concept is demonstrated in 3E-C18, a small-sized electric robotic device created to serve as a mobile platform supporting the activities of entrepreneurs, artists, and others who are seeking new ways to create value for society. The AI-enabled platform can learn by observing how people act and operate autonomously. The cart-like platform offers carrying spaces and a canopy combined with a compact-sized vehicle body base, which has a driving function. In addition to being able to accommodate various add-ons for both personal and commercial use, the base platform of the 3E-C18 can also be equipped with a Mobile Power Pack, which will free the robot from any restrictions related to charging time. “Empathy” represents the concept that robotic devices have compassion toward and can achieve a mutual empathy with people while providing support for human activities. To realize this concept, Honda has applied AI to its 3E-A18 device, which enables the robot to communicate and cooperate with people. Developed to seamlessly support people in their everyday lives, 3E-A18 can serve as a guide at places such as airports or shopping malls where many people gather. The 3E-A18 is capable of offering information and care by understanding the individual needs of people and analyzing their surroundings and expressions. Equipped with an omni-directional driving wheel, the 3E-A18 robotic device is able to move in any direction. The Mobile Power Pack World showcases Honda’s holistic view of how a renewable energy source can be applied to power small-sized electric mobility products, digital devices, and home appliances. As generating renewable energy does not necessarily coincide with energy demand—such as wind power generation at night when demand is low—Honda envisions harnessing surplus energy and storing it in efficient, portable batteries. The Honda Mobile Power Pack is a portable, swappable, rechargeable battery that can be utilized as a power source for a variety of situations. Each Honda Mobile Power Pack has an output of 1kWh or more, and multiple Power Packs can be used simultaneously, making it possible to use the Power Pack as a power source for electric motorcycles and small-sized electric mobility products. Utilizing portable, exchangeable batteries eliminates re-charge times currently associated with electric vehicles. When combined with the Honda Mobile Power Pack Charge & Supply – Portable Concept charger/discharger, the Mobile Power Pack can be utilized as a power source for recreational activities or during an emergency. The charger/discharger not only charges the Mobile Power Pack, but also utilizes it as a power source for connected electrical devices. Equipped with wheels, the Mobile Power Pack Charge & Supply – Portable Concept is easy to carry around, and is waterproof and dustproof enabling it to be used in outdoor locations for recreational activities. 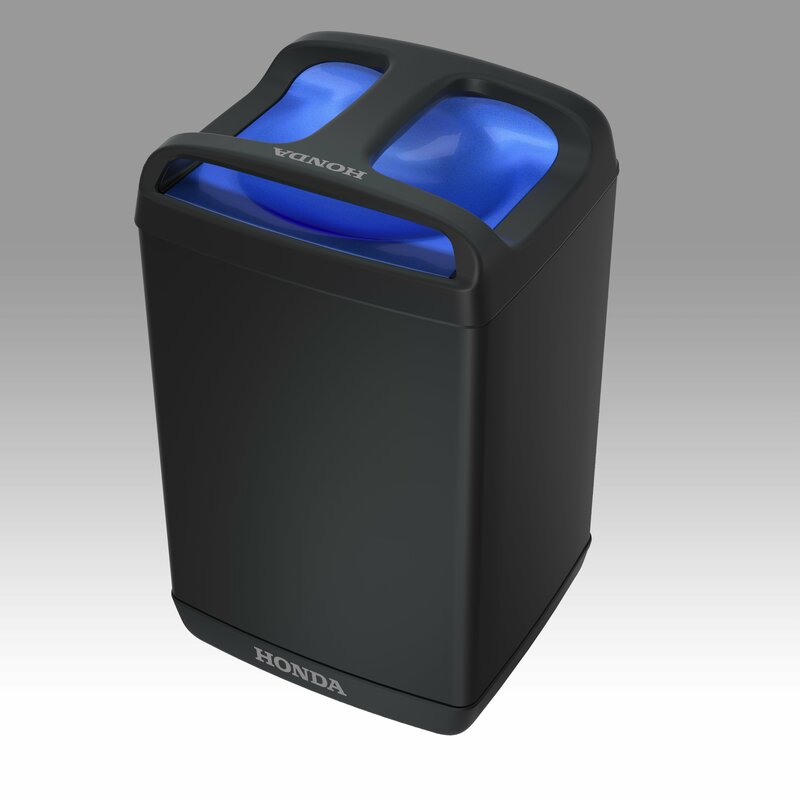 Honda also exhibited the Mobile Power Pack Charge & Supply – Expandable Concept, which can be used as a power source inside the home accommodating multiple electronic devices. The Mobile Power Pack communicates with other devices and can collect data regarding how it is being used and then send the data to other devices while getting recharged. To show how the Mobile Power Pack connects to everyday personal mobility, Honda exhibited the PCX Electric, an all-electric scooter outfitted with Honda’s unique high-output electric motor and a removable Honda Mobile Power Pack, and the Honda Mobile Power Pack 4W-Vehicle Concept, a compact and agile EV based on the Honda Pioneer 500 side-by-side. 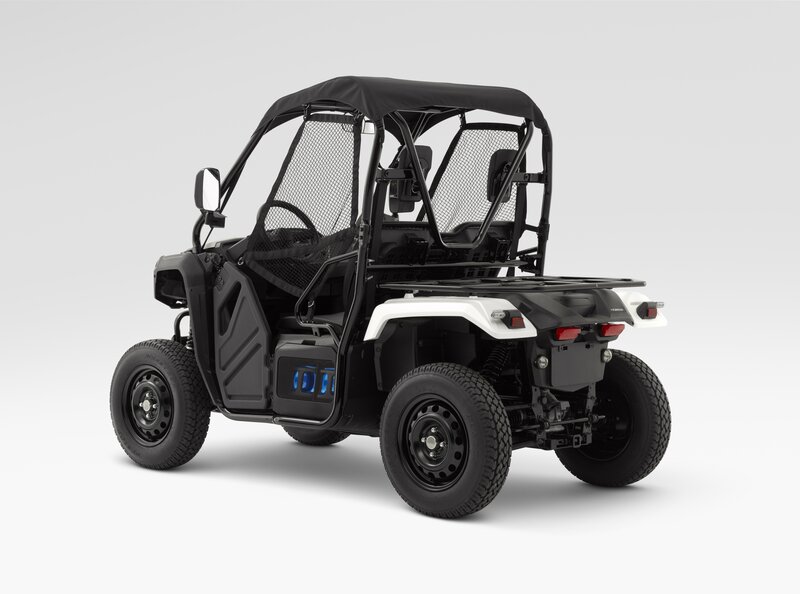 Equipped with slots for two Honda Mobile Power Packs on each side, this Zero-Emission vehicle enables more fun and less impact to the environment on various occasions, including off-road situations.